True to the spirit of All Saints Day, our pilgrims found themselves surrounded by saints in the making throughout the past weekend, paving their path with warmth, kindness, and community. 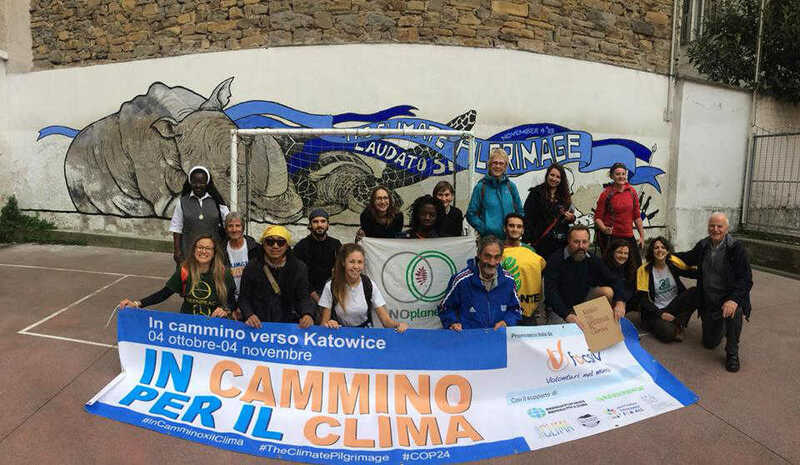 In Trieste, they had the opportunity to speak to local media and spend time with community members. Their visit concluded with Mass at the Trieste Cathedral and a special blessing by Archbishop Giampaolo Crepaldi. In a moving gesture of solidarity, the pilgrims were joined by 15 young residents who guided them out of Trieste to the Slovenian border. 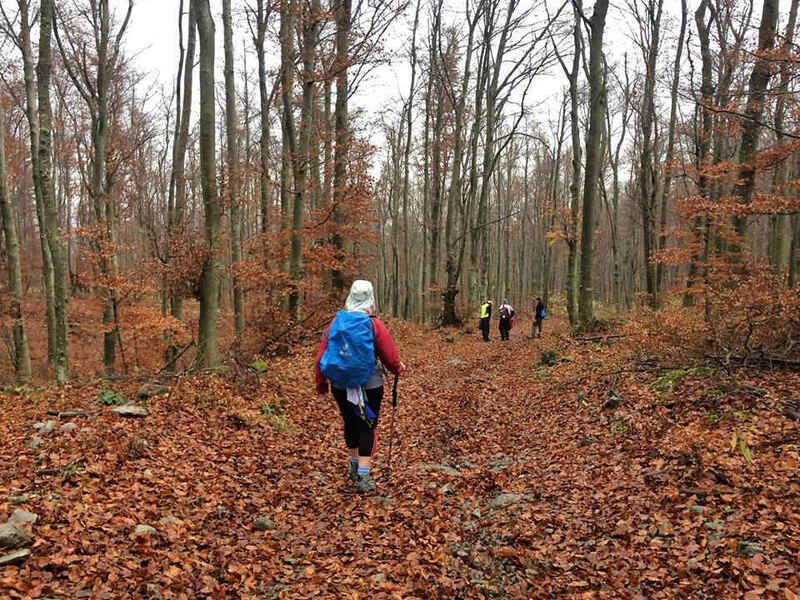 At their first stop in Divca, Slovenia, the pilgrims were greeted by breathtaking fall foliage and unseasonably warm temperatures. The conditions soon changed as they braved a 23-kilometer walk through the forest, most of which was uphill and in the rain. Though the road was tough, it did little to dampen their spirits. At their next stop in Pivka, they met with students who were eager to hear their pilgrimage stories. The students reflected on the places and people they love, and wrote prayer messages on prayer ribbons urging world leaders to care for creation. 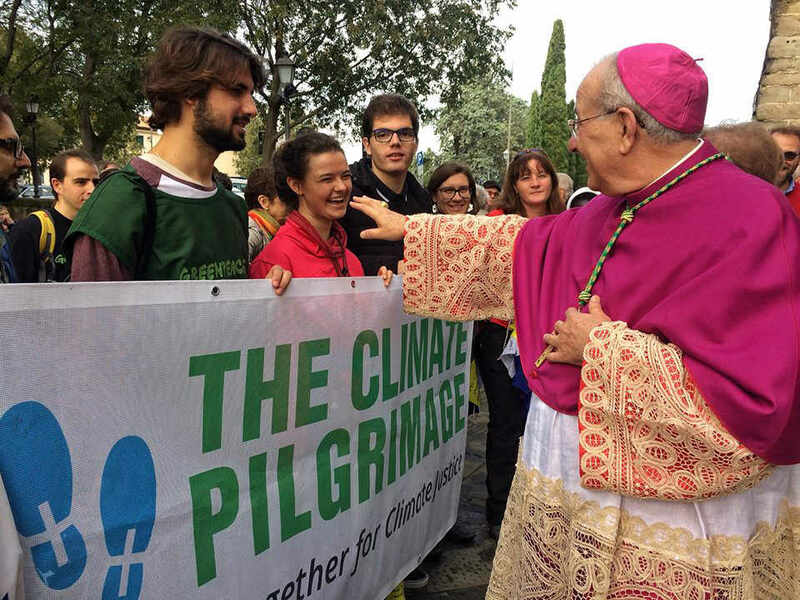 At every stop on their journey, the pilgrims have been welcomed into churches, homes, and schools. May they continue to find warmth along their way, and may their message of caring for creation touch the hearts of those who encounter them.